The so-called capital of the north, Tromsø, is a cosmopolitan and animated city situated 350 kms north of the Arctic Circle. 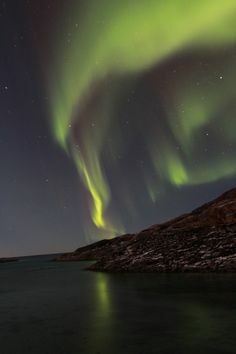 At a latitude of 69 degrees north, the area around Tromsø is one of the best places in the world for aurora watching and also one of the most propicious locations for whale watching in Europe. Daily departures from 1st November 2015 to 31st january 2016. 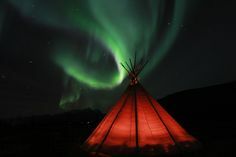 The city of Tromsø is located northwest of Norway, 350 kilometers north of the Arctic Circle and it’s one of the best places in the world for aurora watching, a true spectacle of nature and certainly one of the highlights of the Arctic regions. 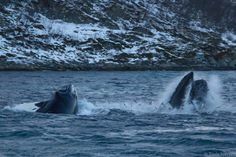 It’s also one of the best locations for whale watching in Europe, as the waters around Tromsø are frequented by killer whales, humpback whales, pilot whales, fin whales and porpoises. Day 1 - Arrival of the flight and accomodation in the hotel. Day 2 - Free morning in the city of Tromsø to visit the city. Called the northern capital for centuries, it is a vibrant and cosmopolitan city. We reccomend to visit Polaria, a museum-aquarium based on the polar regions, the Arctic Cathedral and the cable car ride to enjoy fantastic panoramic views of the city and its mountainous surroundings. At dusk (18.30) we will head to the base station for aurora watching. We will stay there until 01.00 AM in order to have the opportunity to enjoy the "Northern Lights" at its best. 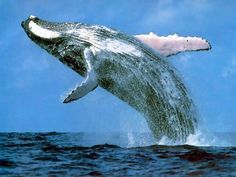 Day 3 - Departure by boat for whale watching (duration 5-6 hours): We will depart at 9 AM by bus order to go onboard and sail in search of whales. 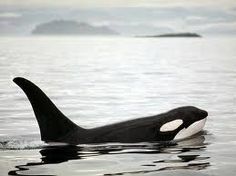 There is the possibility to observe different types of whales, including the humpback and fin whales or killer whales. All of them come to this area to feed in wintertime due to its rich waters. 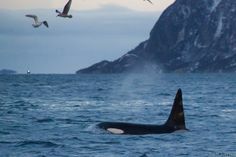 It's also possible to spot other animals such as seals or the majestic sea eagles. Day 4 - Free morning. 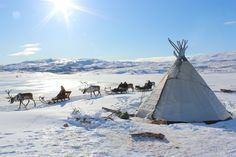 We offer the possibility of making optional excursions (not included in the price) in the morning that could change depending on the season such as husky dogsledding, reindeer raid, snowshoeing walking, cross-country skiing or glacier hiking. 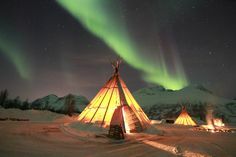 In the afternoon we will depart for a second excursion to the basecamp for aurora watching. All the services not specified in the section "included"